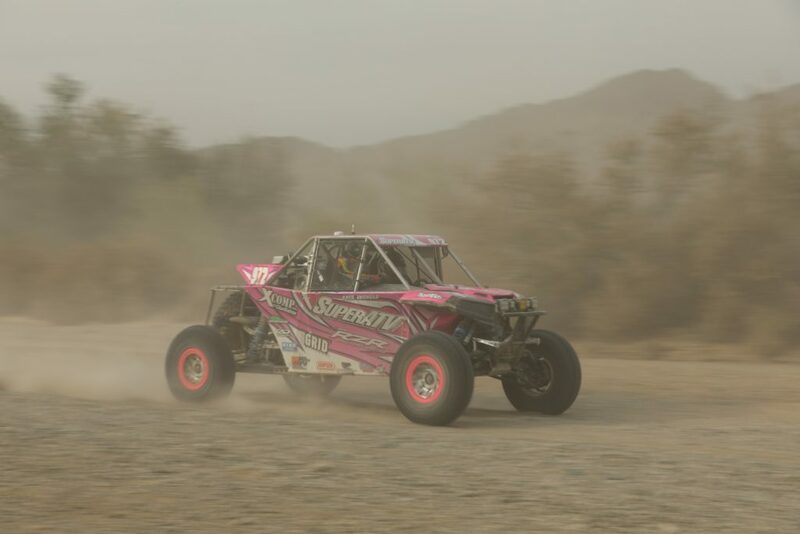 Yorba Linda, CA (01/22/2018) – Katie Vernola unveiled her new program on Friday at the Tech and Contingency held at the Blue Water Casino in Parker Arizona. 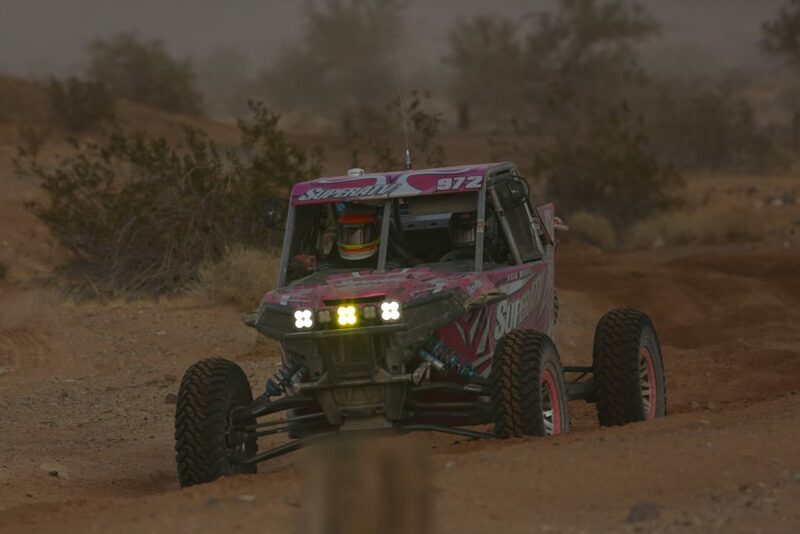 She was the talk of the town with her new Polaris RZR. 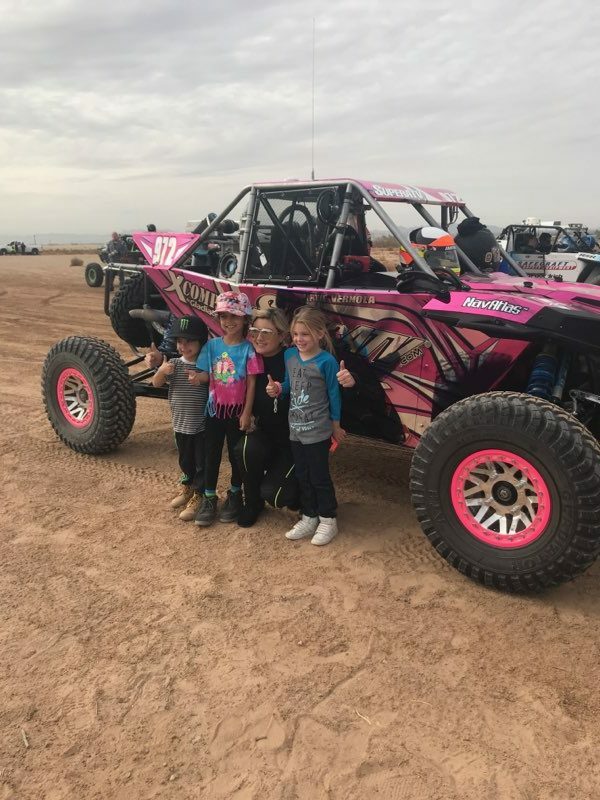 Katie was breaking necks with her new pink chrome wrap from Gator Wraps, which caused the social media world to go crazy over her RZR turbo. 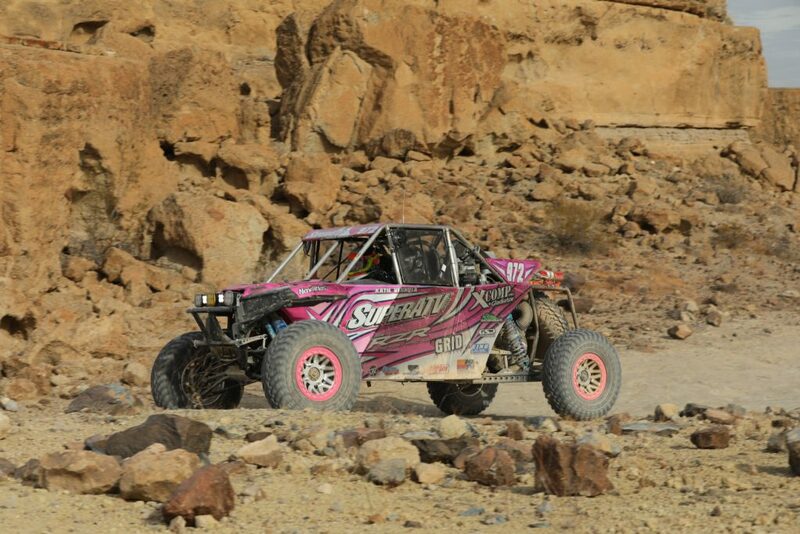 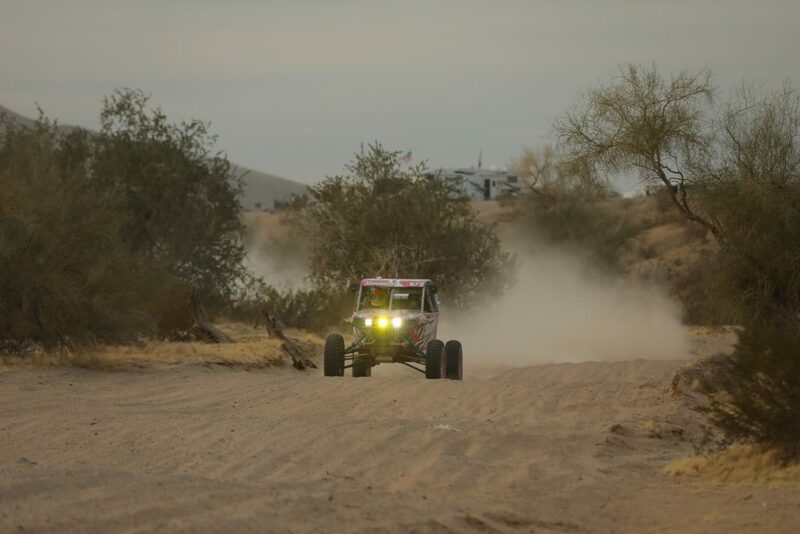 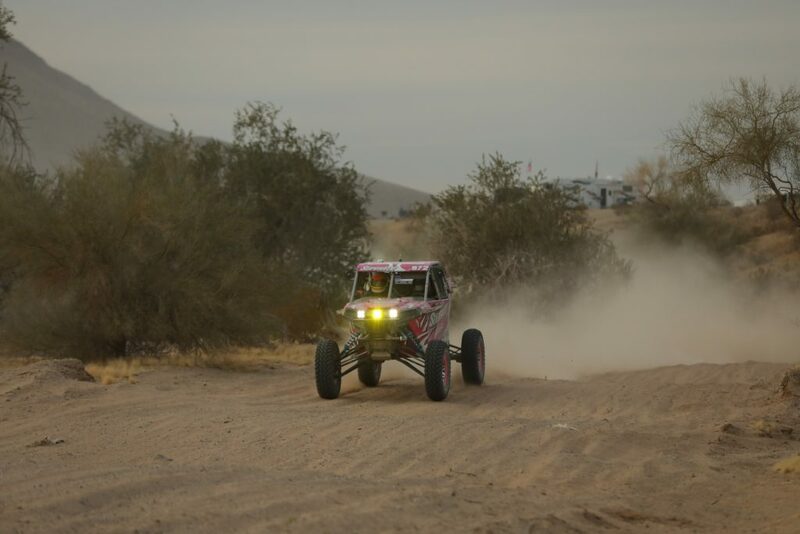 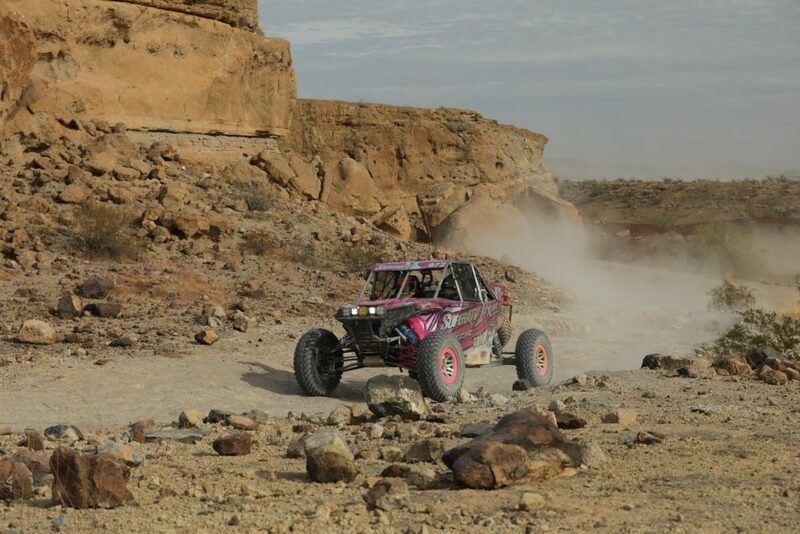 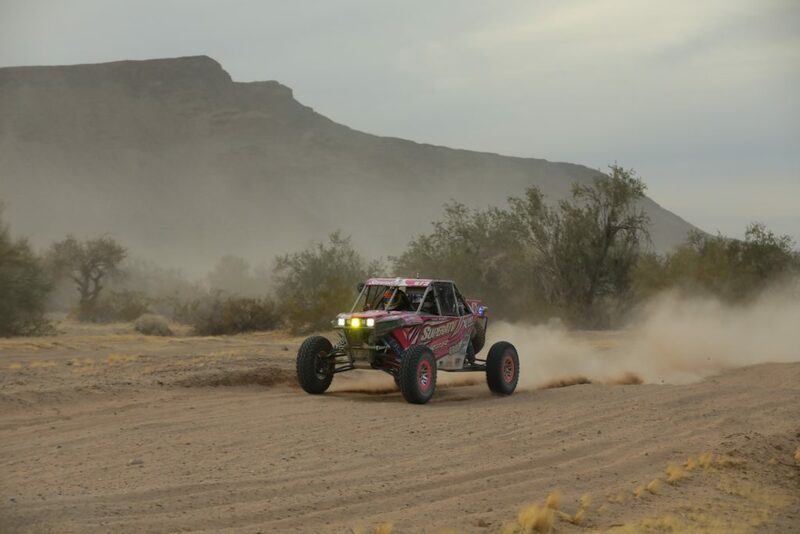 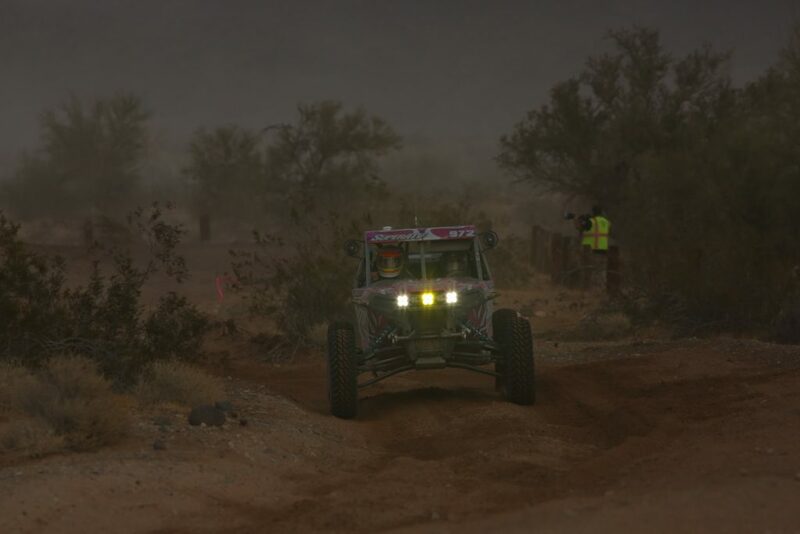 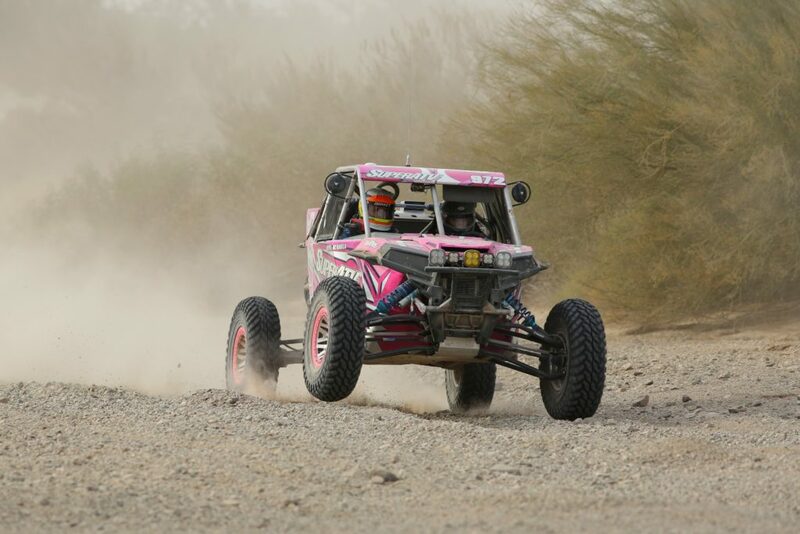 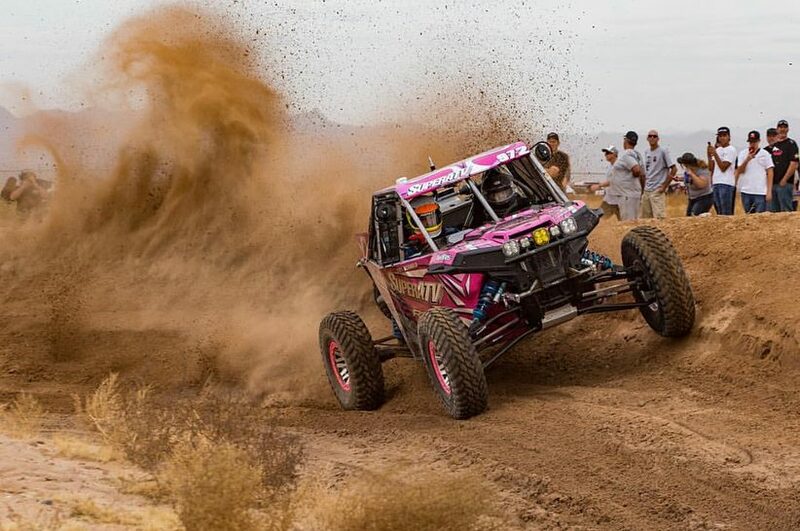 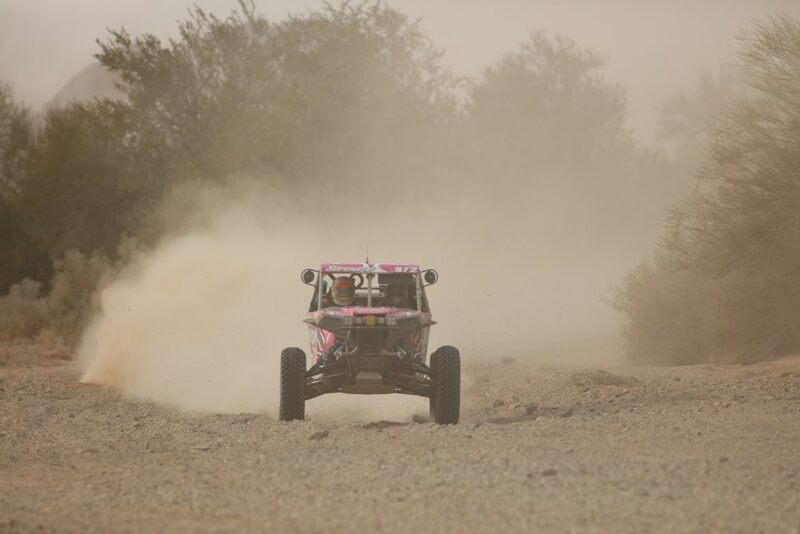 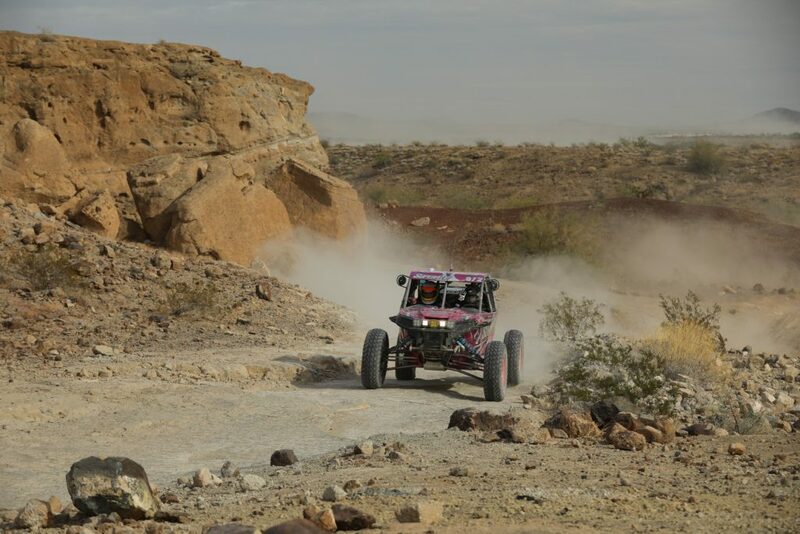 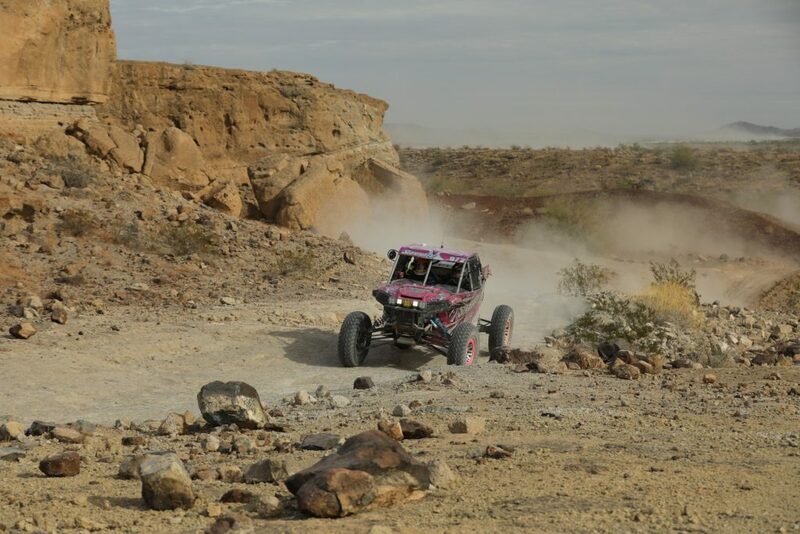 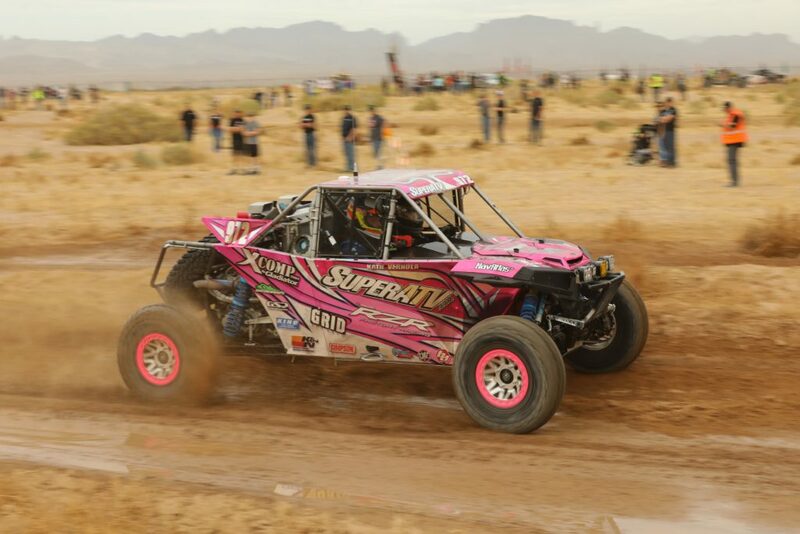 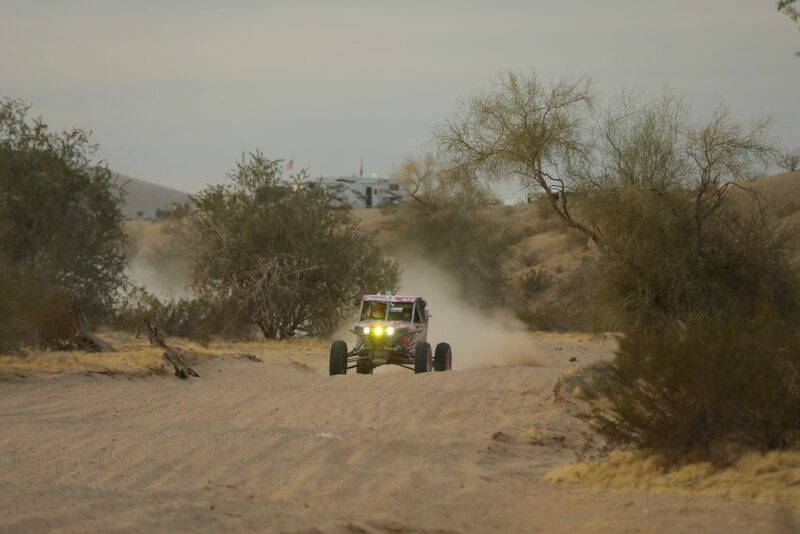 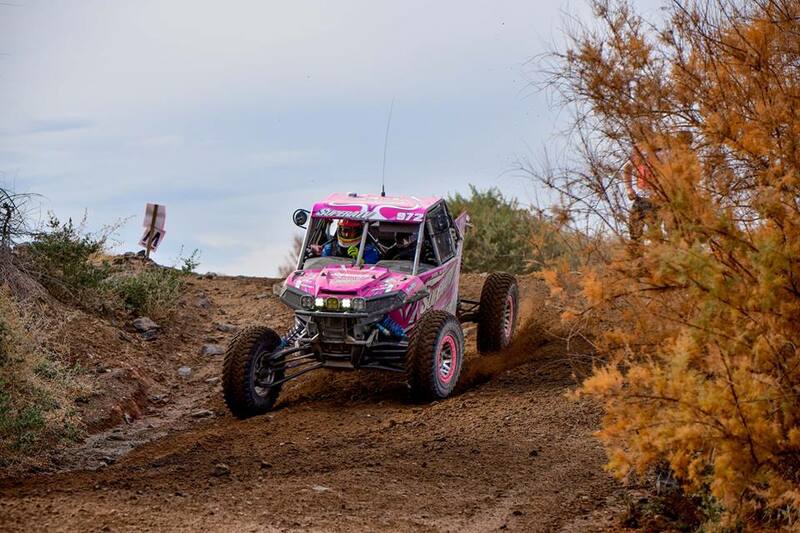 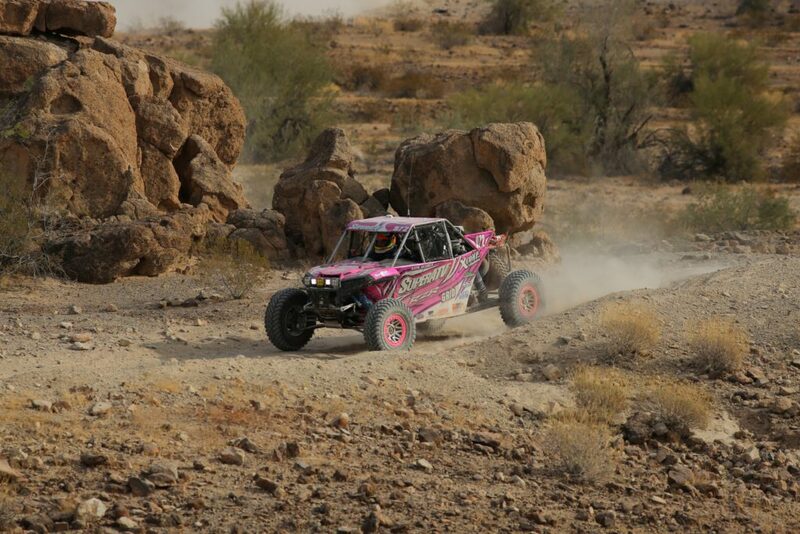 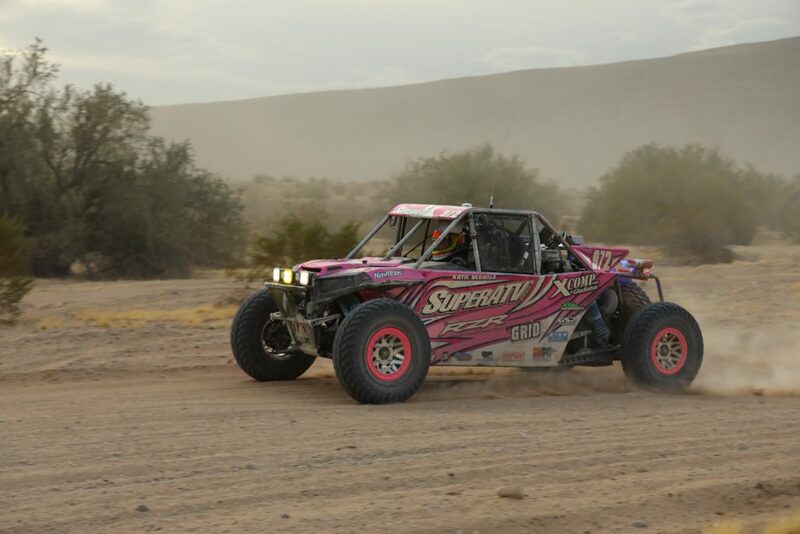 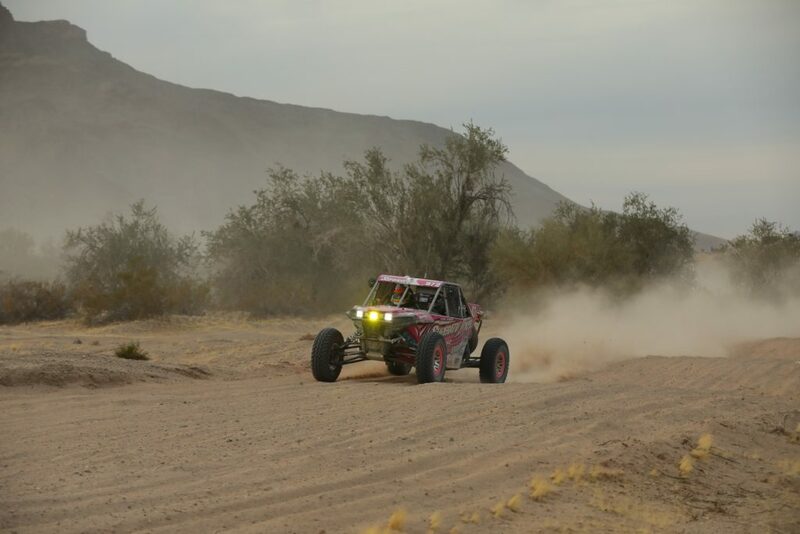 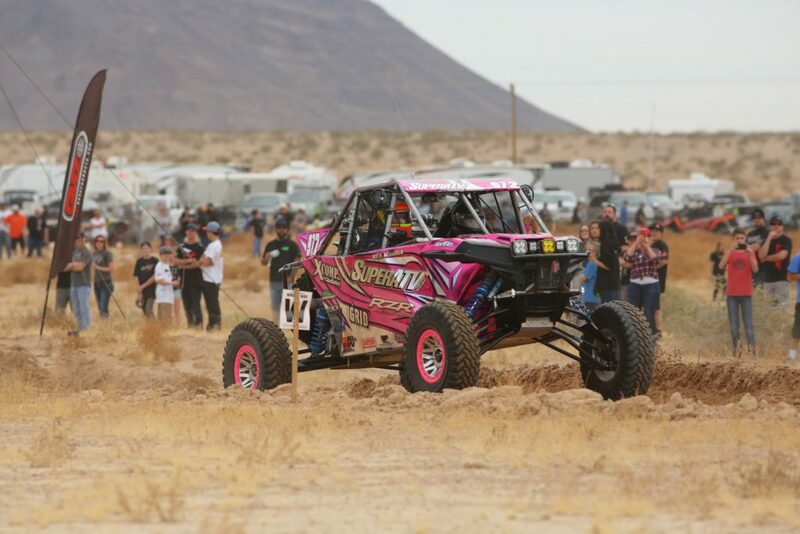 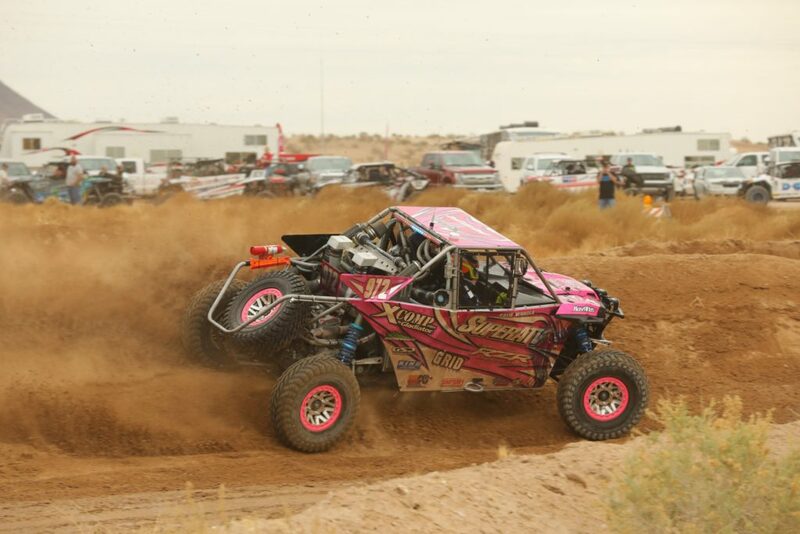 Katie raced with co-driver Kyle Ahrensberg in a stacked line of almost 60 UTVs in her class, with some big names like Robby Gordon, PJ Jones, and other factory-backed drivers. 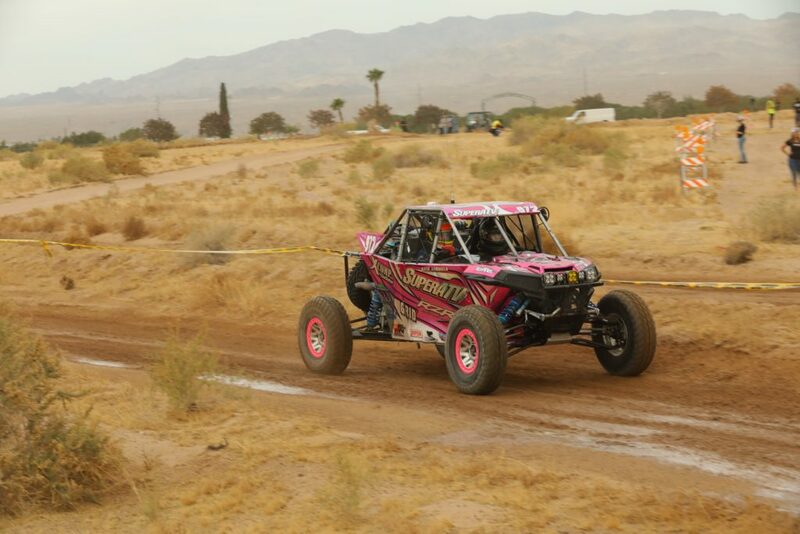 Katie started 12th off the line in rows of two that left the starting line every 30 seconds. 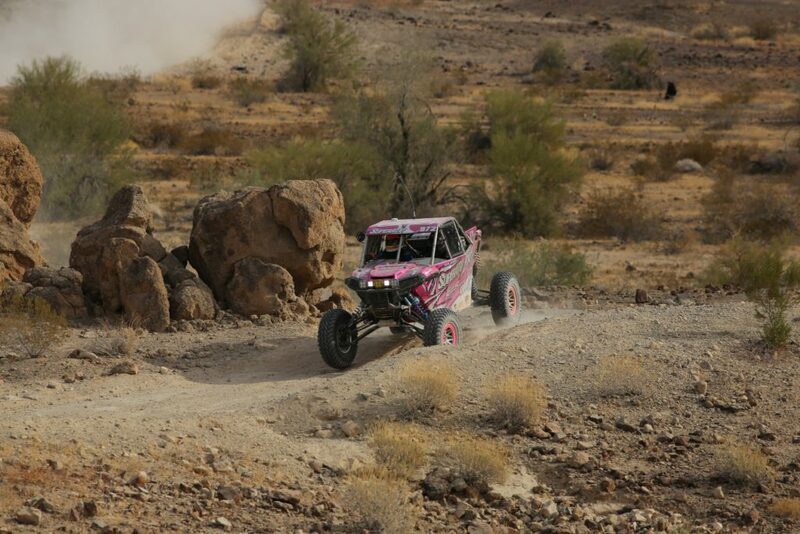 Katie quickly got into her groove and came through the first pit at race mile 28 seventh overall. 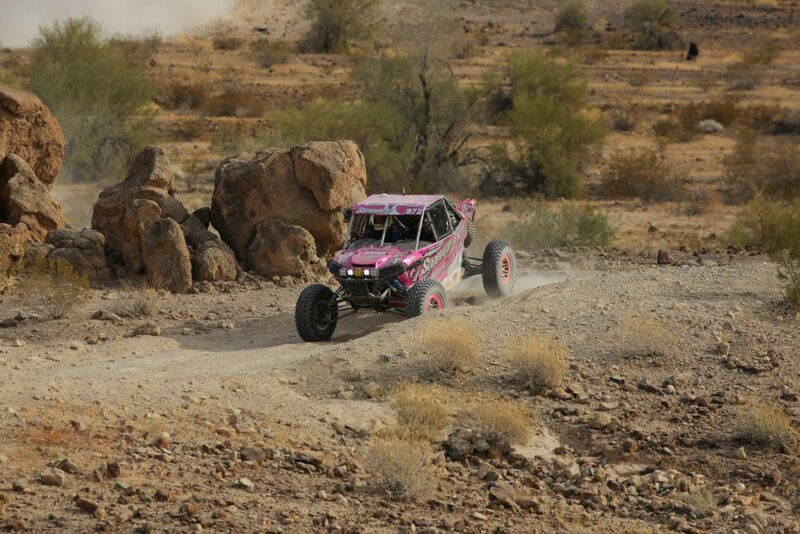 She maintained that position throughout the first lap, which was about 80 miles. 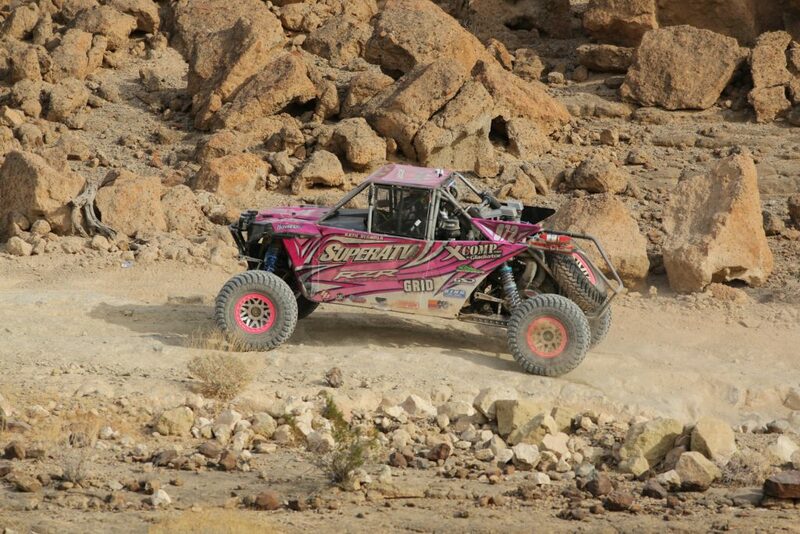 Coming through the main pit Katie radio in saying “the RZR felt good just a visual while we drive by”. 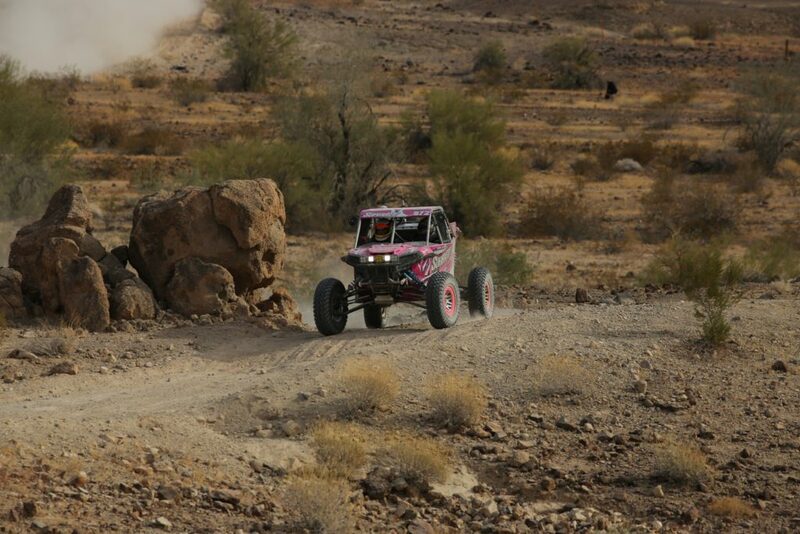 Katie was running in the top ten about nine minutes behind the leader on corrected timing. 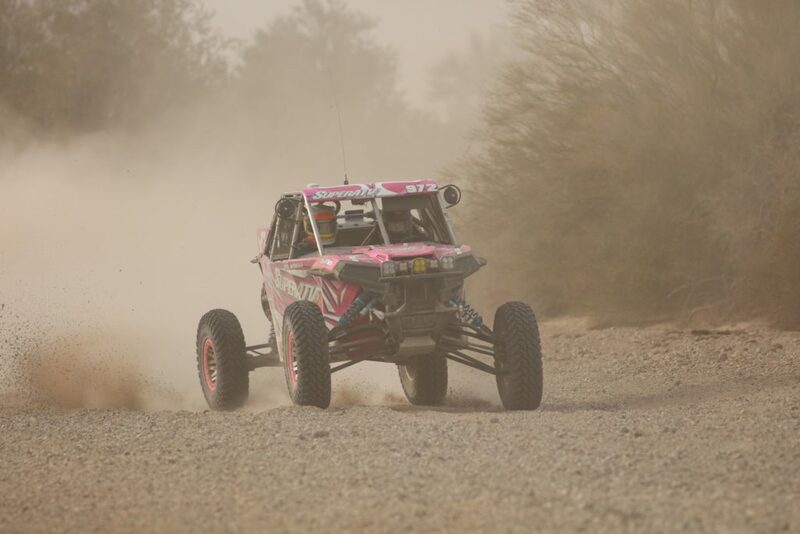 She continued racing at a pace that would keep her in striking distances of the leaders. 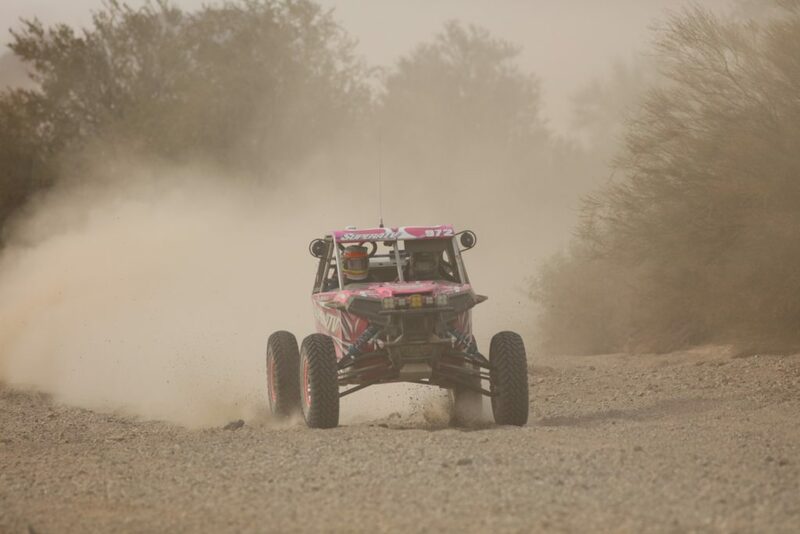 At race mile 110 Kyle felt an issue in the rear. 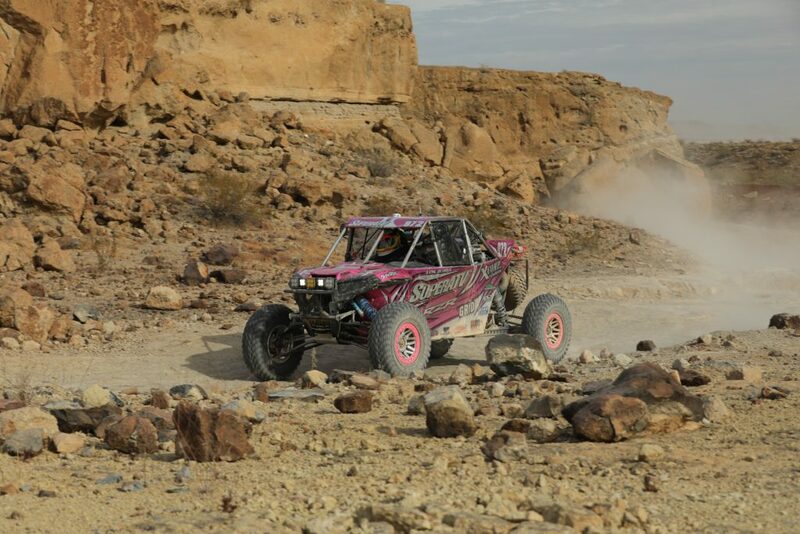 Katie pulled over and saw some axle grease on the transmission. 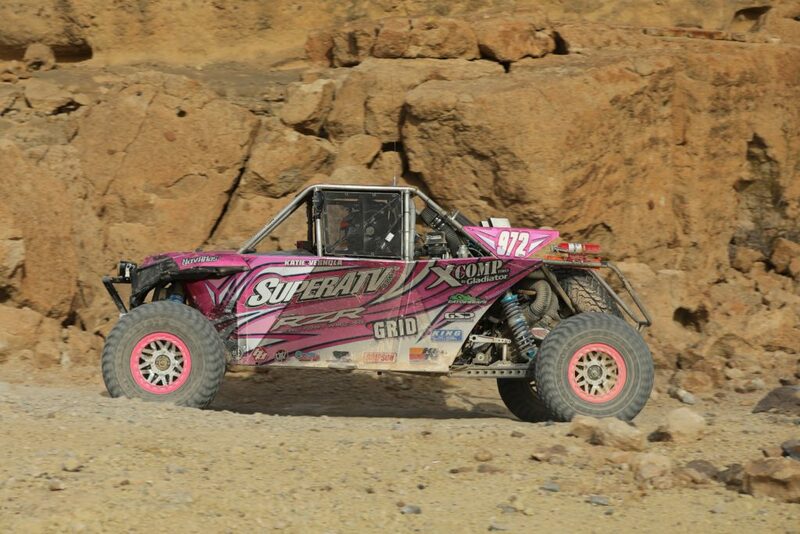 Kyle made the call that it would be faster to change it at the main pit in about 20 miles. 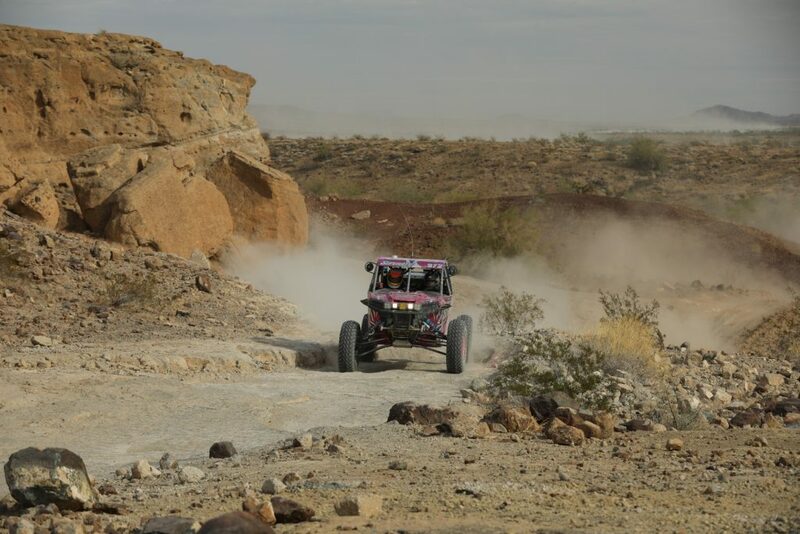 They ran a steady pace to the main pit with 3-wheel drive, fueling the RZR and changing the axle within five minutes, and then they were back out on the final lap. 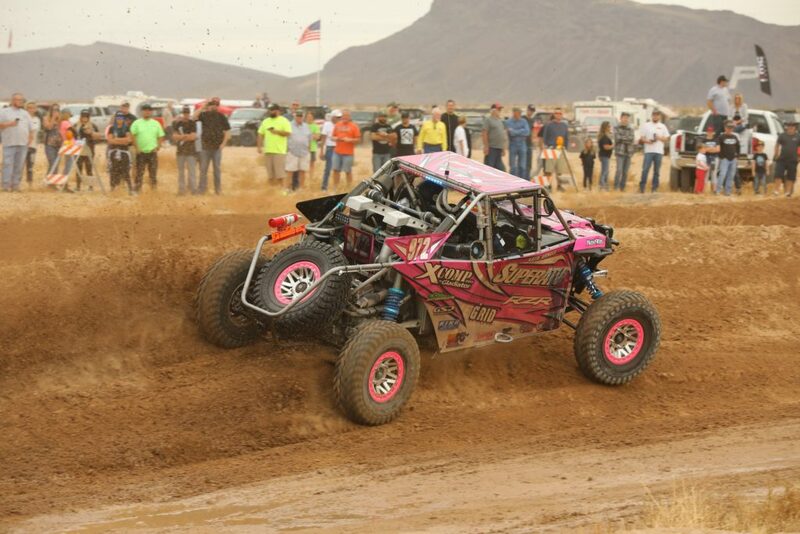 Leaving the main pit Katie unfortunately dropped to 23rd place out of 55-plus cars in her class. 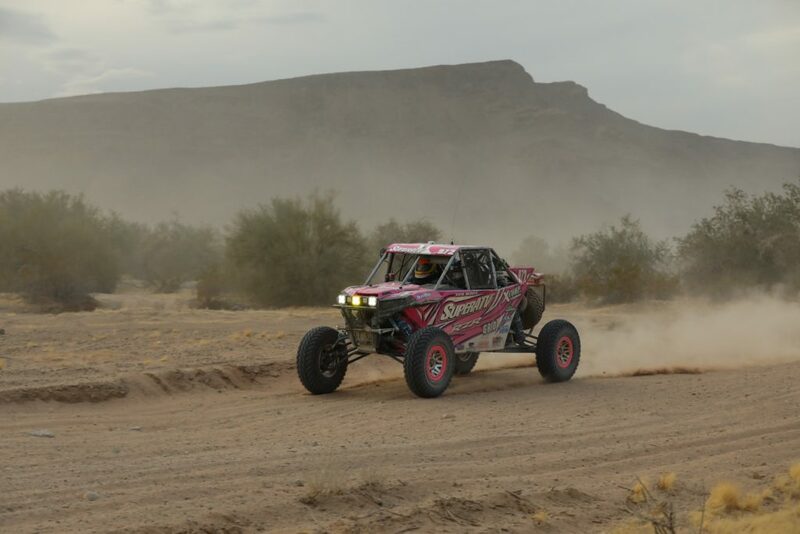 With that minor issue resolved, she charged hard for the last 80 miles, making up three spots for an overall finish of 20th place. 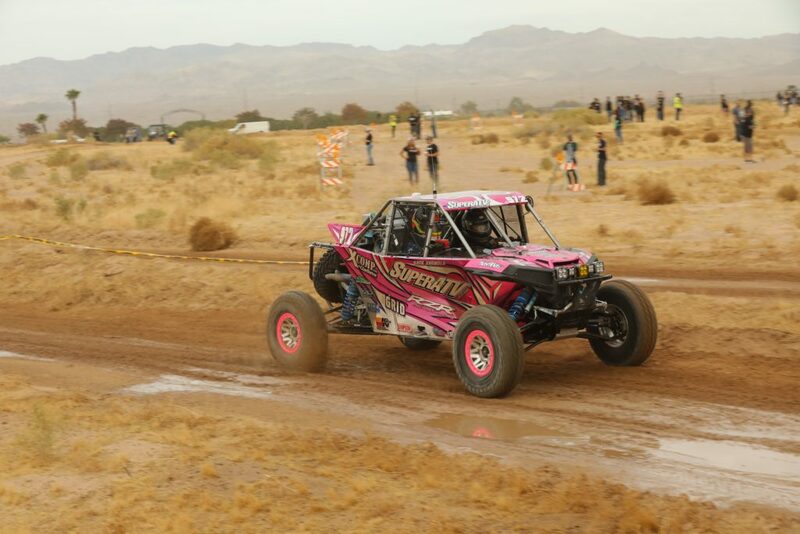 Katie expressed at the finish line that she knows she has a car that can win and will be back for the MINT 400 in March for redemption. 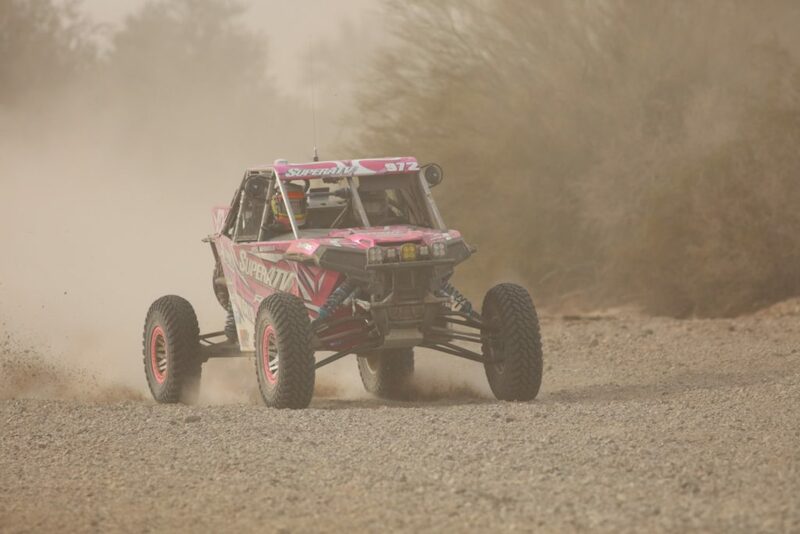 The Pro Turbo class is so large and so competitive that 20th place was still an impressive finish, and she salvaged some points towards the overall Championship. 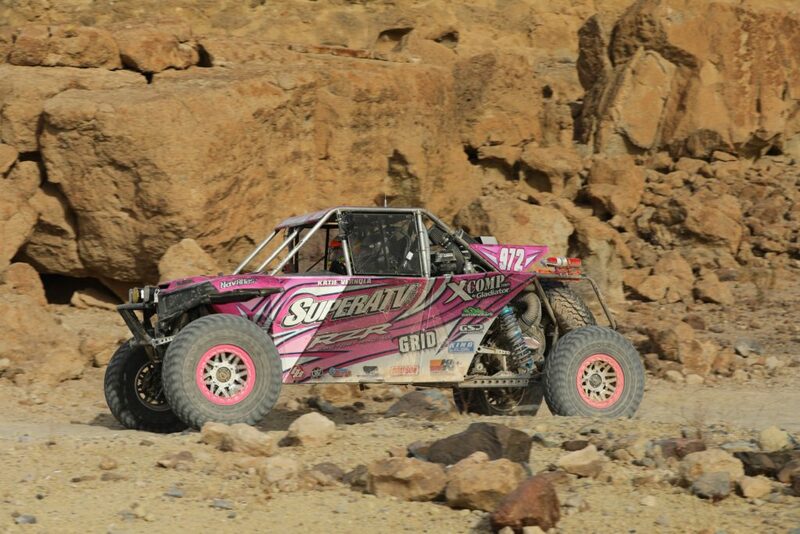 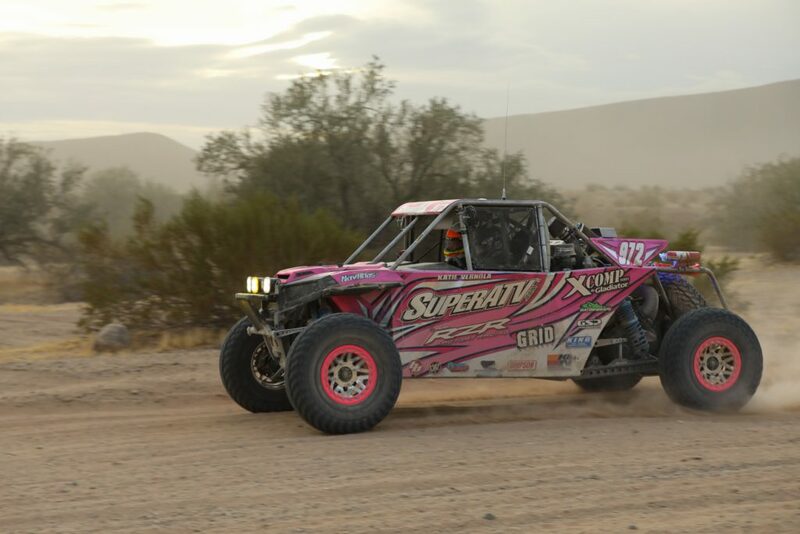 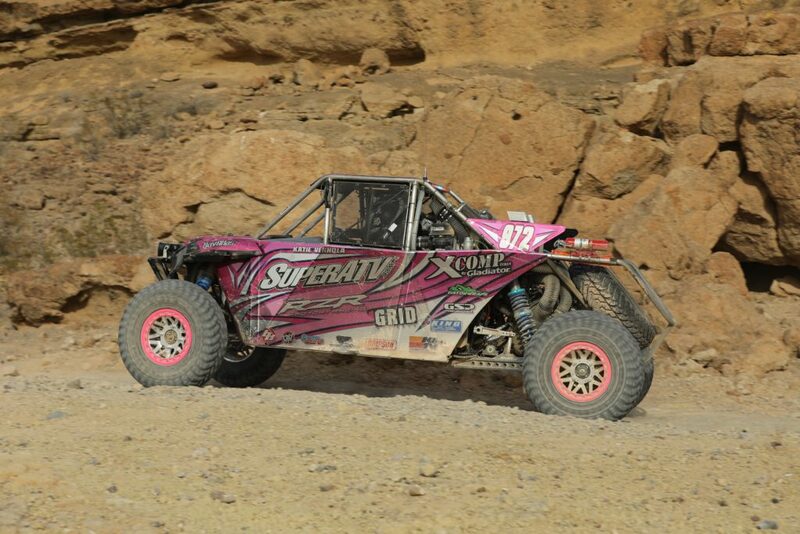 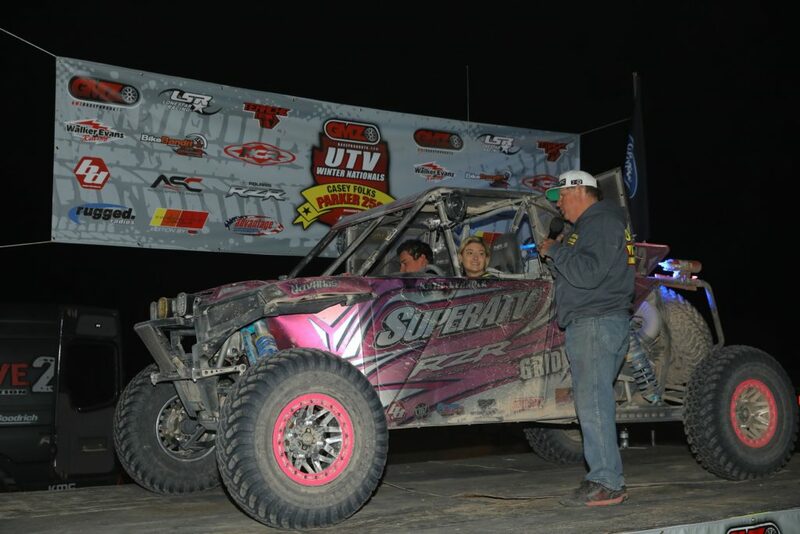 Katie would like to give a big shootout to SUPERATV, Gladiator Tires and KING Shocks for getting her through this brutal course, and GRID Off-Road for forging two-piece wheels that are light and stronger than anything on the market. 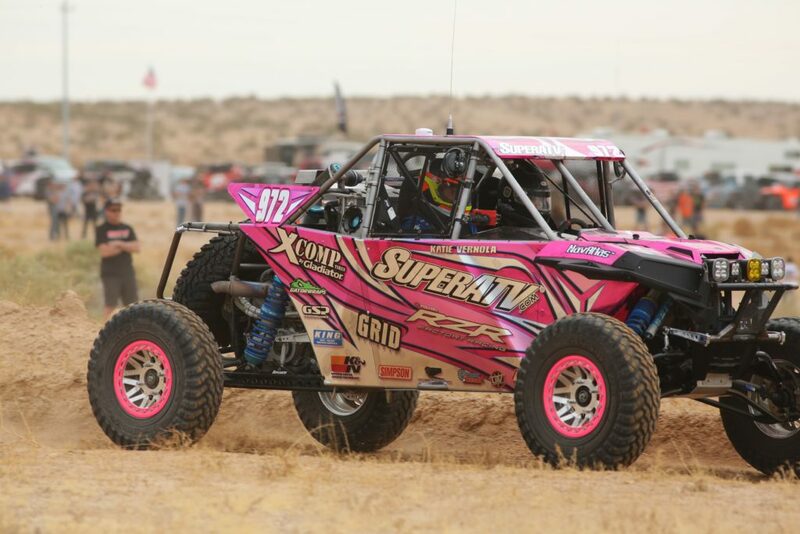 Katie thanks Pete Corwin for building and prepping her Polaris RZR turbo. 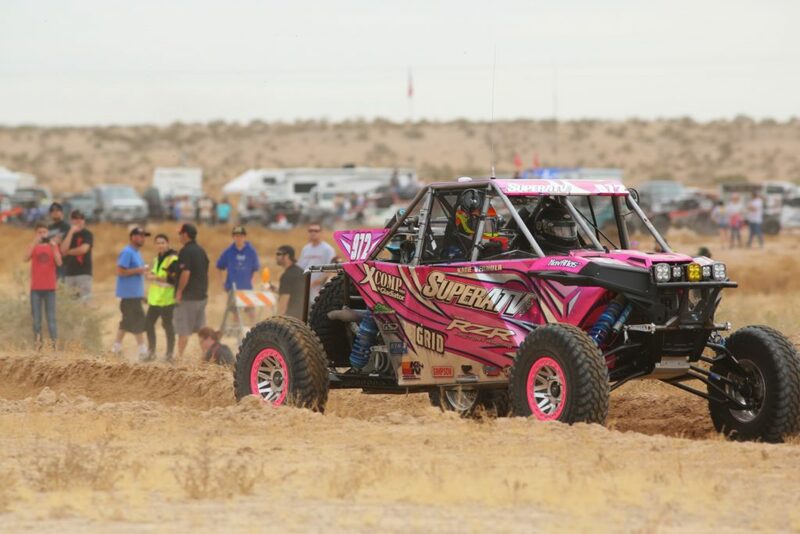 Thank you 2018 race sponsors: SUPERATV, Gladiator, Polaris, Got Sand Performance, NAVATLAS, GRID Off-Road, KING Shocks, KN Filters, Gator Wraps, Simpson, Cody Haggerty, CryoHeat, Packard Performance, Baja Designs and UTV underground. 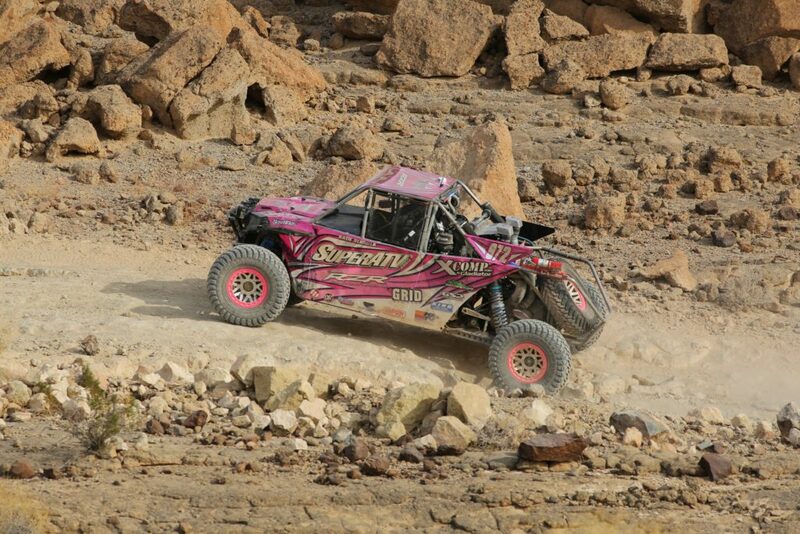 Photo’s by Harlen Foley, Ricky RK Photo , Eric Minks.